The best celebration hall at Hassan,in our hotel, offers a range of celebration, banquet and business facilities for exclusive parties, product launches, high-profile business meetings, seminars or conferences. 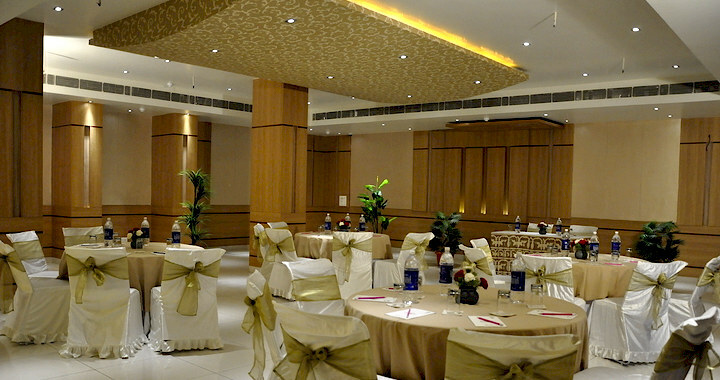 The celebration Hall is designed to cater to your varied needs with a capacity of 300 people at a time. Different seating styles can be arranged based on the client's needs. We are all set to provide you all the guidance and help needed to create your best memories here at Amber Castle hotel with us, aiming to become the best luxury hotel in Hassan, Karnataka.